Our mission is to promote your brand values and purpose, connect and align with your customers, and create and expand your market share. Relationships can be the difference between "yes" and "no"
A huge part of the day for any member of Team Atnip is finding solutions for our customers. Solving their problems. It may be recommending a product that fulfills a need or locating a few cases to bridge an inventory gap. 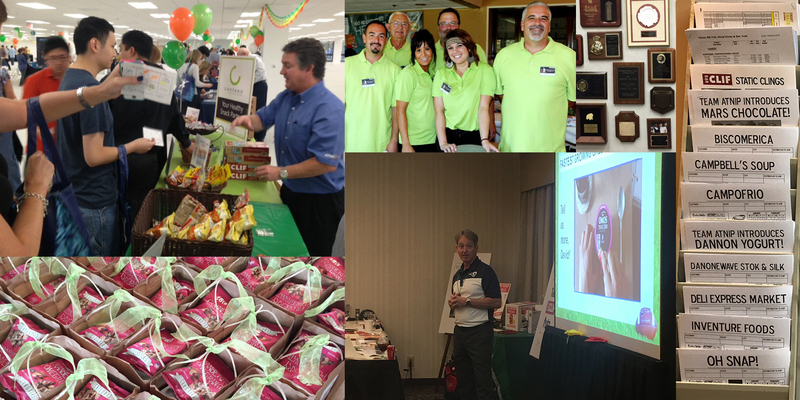 We’re always there to lend our expertise or just lend a hand at trade shows, distributor shows, and micro market openings. At Team Atnip, no customer request is too big or too small. If we can help, we will. Our passion for customer service is what drives each one of us to strive to make a difference in our customer’s business each day. We don’t just make sales calls. We make sales calls that make a difference.